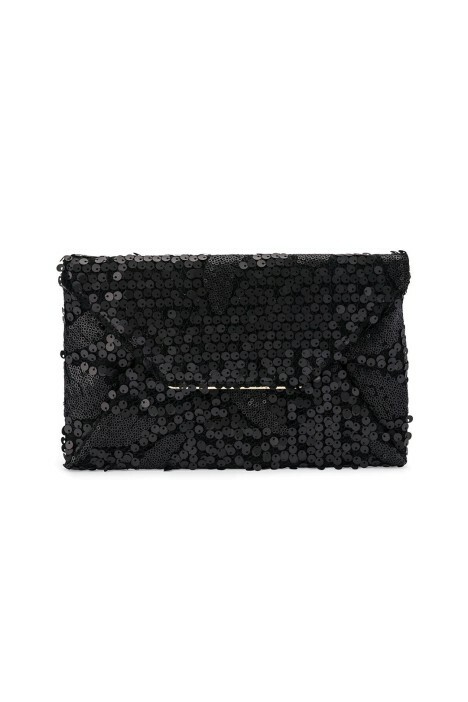 This elegant envelope style clutch will bring a touch of glam to your elegant black-tie look or birthday dinner style. Featuring a stunning sequin lace exterior, gold-tone hardware and a super-roomy interior. Hire it today for an upcoming evening event! To style, add a pair of elegant gold hoop earrings and slender black heels. Pair your delicate sequin clutch with an elegant bodycon number or perhaps a stylish little black dress. For more helpful style tips read our ‘Makeup Tips for a Little Black Dress’ blog post.